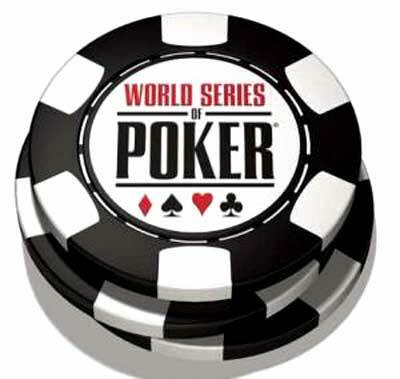 World Series of Poker 2008 season starts Friday and Jerry Yang defends his 2007 title as the $10,000 World Championship No Limit Texas Hold ‘Em winner. Last year, Yang, from Temecula, CA turned his hobby into a $8.25 million dollar passion. This year’s WSOP will span six weeks and include 55 events at the Rio Las Vegas hotel. More than 100,000 spectators will view the free events and 30,000 poker players from novice to pros will step up to the challenge this year. Think about a professional sports player and how they reach the pinnacle of their profession with dedication and hard work. At the World Series of Poker, you can buy or better yet win your way to becoming the poker world champion in Las Vegas, Nevada. If you can play poker like the pros then you enter via a satellite tournament. Some entry fees can begin at $1,000 and go upward to $50,000. Jerry Yang won his satellite poker tournament that cost him $225. Last year he passed 6,358 players. This year, ESPN will have TV coverage of the WSOP events, especially for the Main Event. The organizers are going to change it up this year. After the final nine poker players are reached for the final table, the tournament will take a hiatus until November. The 2008 Main Event will finish with heavily anticipated TV exposure. Previous tournaments would have completion in July and the winner will already be known when ESPN aired it in Nov.
Yang faces tough odds for a repeat as winner of the World Series of Poker. It took place over 20 years ago when only a small handful of players competed. What a great marketing tactic for the WSOP. Four months until the final Main Event of poker will create an entire table of poker ambassadors and fuel the fire for many card player’s pastime across the globe. Call 702-505-6988 for VIP real estate search by real estate agents. World Series Of Poker season starts Friday and Yang defends 2007 poker champion title.